It's a quick and easy dinner, but is your choice pasta sauce as healthy as you think? Pasta and sauce is a quick and easy meal to make for the whole family, but which shop-bought pasta sauces are best to go for if you’re on a calorie-counting diet? From Loyd Grossman’s Tomato & Chargrilled Vegetables to Sainsbury’s Basic Tomato, goodtoknow Diet Club has put 20 of the most popular pasta sauces to the test. We’ve rated them for you from worst to best in terms of calories, so you can easily see which ones will keep your calorie intake at its lowest. To keep our findings fair we’ve compared the sauces based on 100g, using the goodtoknow Diet Club calorie counter tool. How will your favourite sauce fair? You’ll be pleased to know, that the winners in our round-up are actually the cheaper, supermarket own sauces, so they’re friendly to your purse as well as your waistline!  If you want to lose weight, the goodtoknow Diet Club can help. It offers a personalised online food and exercise diary, a really clever calorie-swapping tool, expert help, forums full of supportive diet buddies and loads of delicious low-cal recipes the whole family will love. Sign up for a free 7-day trial today – what have you got to lose? Verdict: With the highest calorie count of all the pasta sauces we've tried, this is not one to buy if you're trying to lose weight. However, for a special occasion or a romantic night in this is a quick and easy choice. Try swapping a side part of garlic bread for green vegetables to claw back calories. Verdict: As pasta sauces go, this one is certainly tasty although the thick consistency and richness might not be to all of the family's liking. Flavour aside, in terms of healthy eating this is a pasta sauce to avoid eating regularly. While cheese sauces are usually higher on the calorie front than others, we were shocked at the huge levels saturated fat and salt in Sacla's. Verdict: For a world cup winning rugby player it's a shame that he endorses a pasta sauce with such high levels of saturated fats, sugar and salt. For this reason it's not a sauce you'd want to use weekly, however it does make for a very tasty dinner every now and again. Whether you pour it over freshly cooked pasta and serve or add some extra mozzarella and bake in the oven, we guarantee this will go down a treat. Verdict: Generally speaking this isn't the healthiest pasta sauce, but in terms of cheese sauces Asda's Four Cheese Pasta Sauce isn't too bad. This is unfortunately reflected in the taste. While it has a creamy texture, it also has a bland flavour and definitely needs extra seasoning. Try adding a clove of garlic and grating some extra cheese on top if you're looking for a treat. Verdict: Gefen is a lesser known brand, but one worth picking up when you see it. Blending tomatoes with sautéed mushrooms is the secret behind its delicious flavour and with low saturated fat and salt levels it's not a bad choice if you're watching your weight either, although it's not one of the cheapest options. Verdict: It's not the healthiest of pasta sauces in our edit in terms of fat levels, but kids love the Bob The Builder theme and it's free from artificial colourings and flavourings and gluten-free, making it a safe option for when they have friends for tea. Not to mention purse-friendly, for less than £1 you'll have enough to feed at least four little ones. Verdict: Known for its olive oil, Bertolli has now put its name to a range of pasta sauces. While the price point is higher than the other tomato and Basil sauces we tried, we think it's worth spending the extra money. In fact it's so delicious there's no need for extra seasoning. Plus it's low in saturated fats and isn't bad on the calorie side either. All in all it's a great sauce and a worthy contender - we're hoping there's more flavours to come from Bertolli. Verdict: Opting for an organic sauce might seem like a healthier choice, but Seeds of Change's Tomato & Garlic Pasta Sauce has a surprisingly high amount of sugar. However with just a hint of garlic, this could easily be a winner with the kids. Why not try sneaking in some chopped vegetables as well as pasta? Verdict: There's a lot wrong with this sauce in terms of price and high amounts of fat, sugar and salt, but the taste almost makes up for it. Plus, unlike most of the other vegetable pasta sauces available, this one is jam-packed with chunks of red pepper, yellow pepper, courgette and aubergine. While it's not one that we could afford to buy weekly, it's definitely worth picking up when it's on offer or for a special occasion. Verdict: When you think of pasta the Dolmio advert is usually one of the first things to spring to mind, but we're not convinced that this sauce really does offer the 'taste of Italy' as promised in the name. While the chunks of tomato and basil make it feel more authentic, the overall taste is slightly disappointing. However this range is often on offer and makes a good base for ratatouille or spag bol. Verdict: Out of all of the Tomato and Roasted Garlic sauces this one was without a doubt 'Seriously Good'. The blend of sun-dried tomatoes, Montepulciano red wine and roasted garlic makes for a delicious Italian-inspired sauce. Plus it doesn't rate too badly on the calorie or saturated fat front either. All in all a great choice for a night in for two. Verdict: For an advocate of healthy eating, Jamie Oliver's Tomato & Basil Pasta Sauce isn't the healthiest sauce we've come across, or the most cost effective, but it does have the taste factor. The rich tomatoey sauce has enough flavour to be used on its own with pasta, but we've found it works great as a Bolognese sauce too. Verdict: It's one of the most famous pasta sauces and with tomatoes making up 80% of the recipe, Ragu Traditional Pasta Sauce doesn't disappoint in terms of flavour. It's worth noting the high sugar content though, especially if this is the base ingredient for a regular family meal. To ramp up the nutritional value try adding chunks of fresh vegetables. Verdict: While this pasta sauce impressed us with its nutritional information, it shocked us slightly by only containing 6% of mushrooms. The mild flavour can be easily improved by adding just a handful of chopped fresh mushrooms and a dash of salt and pepper though. Verdict: Tesco's Chunky Vegetable Pasta Sauce is low in calories, but if you're serving it to the whole family, it's worth noting that it contains a whopping 18% of your recommended daily intake of salt. Verdict: If vegetable is your sauce of choice then Asda's Tomato & Chunky Vegetable Sauce is the one to buy. For a quid you get a huge jar with small chunks of mushroom, celery, courgettes and mixed peppers. Low in salt, saturated fat and sugar, it's a great option for the whole family and it's the perfect way to get the kids eating vegetables without them even realising. We're crowning this the king of vegetable pasta sauces for both value for money and nutritional goodness. Verdict: Good value for money, great flavour and low in calories, saturated fats and sugar - what more could you ask for? Whether you're on a diet or feeding the family, Trattoria Verdi Mushroom Pasta Sauce is one of the best pasta sauces we've tried, and without a doubt the best mushroom one. Quick, easy and delicious, this is the cheat's solution to amazing pasta. Verdict: We were seriously impressed by Weight Watchers tasty Tomato and Roasted Garlic Pasta Sauce. Not only does it contain less than 0.1g of fat, it is also low in sugar and salt, making it the perfect option if you're on a diet and want to lose weight. Plus it's not bad value for money, either. Verdict: As simple tomato sauces go Sainbury's Basics Tomato Pasta Sauce is a great option for both nutrition and value for money. While it equals Tesco's Light option on the saturated fats front, this sauce beats Tesco on sugar levels hands down. For this reason and the tasty flavour, this is the tomato pasta sauce we'll be buying from now on. If you want to keep track of the calories in the food you're eating, sign up for a 5-day FREE trial with the goodtoknow Diet Club. It's got a calorie-counting tool and an online food diary which will help you see where you're spending your calorie-allowance.